Most kids dream of finding Scaletrix cars or G.I. Joe in their Christmas stockings. I dream of getting bottles of ready-mixed cocktails. Luckily, this year, my dream came true. 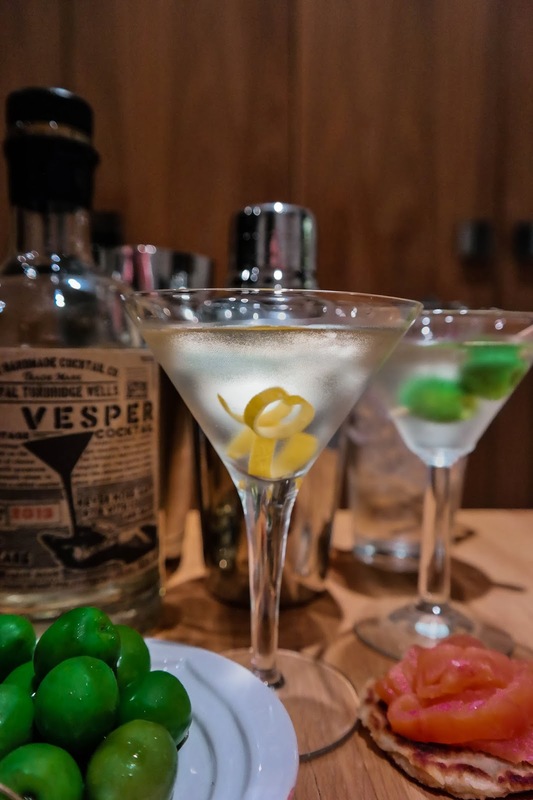 This, ladies and gentlemen, is the Vesper, courtesy of the Handmade Cocktail Company. If you're going to be thoroughly cynical (something I am wont to be) it's effectively nothing more than a bottle of gin, vodka and vermouth mixed together, bottled and shipped out to those gullible few who ardently believe that the whole is greater than sum of the parts – and who are happy to pay a premium for that whole. If you're being cynical. The problem with that analysis is that the cynic really is wrong here. Sorry, just plain wrong. Because this is truly lovely stuff. 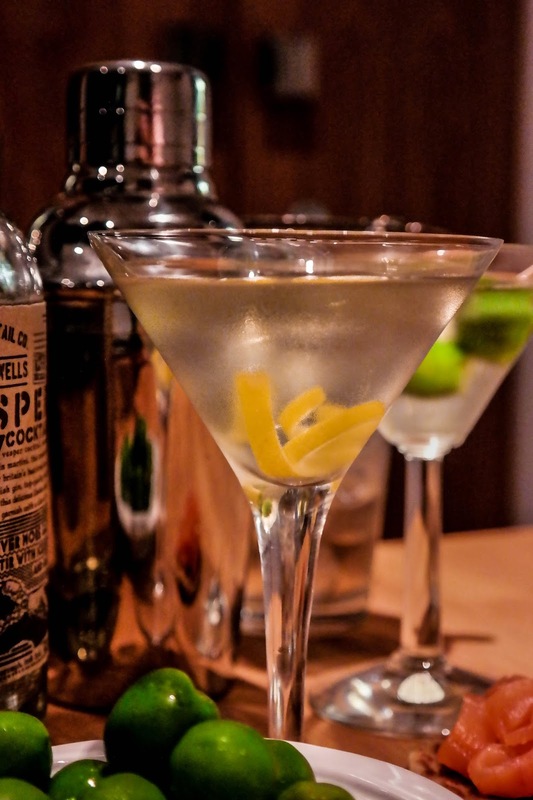 The Handmade Cocktail Company's Vesper is one of the best I've had – genuinely. 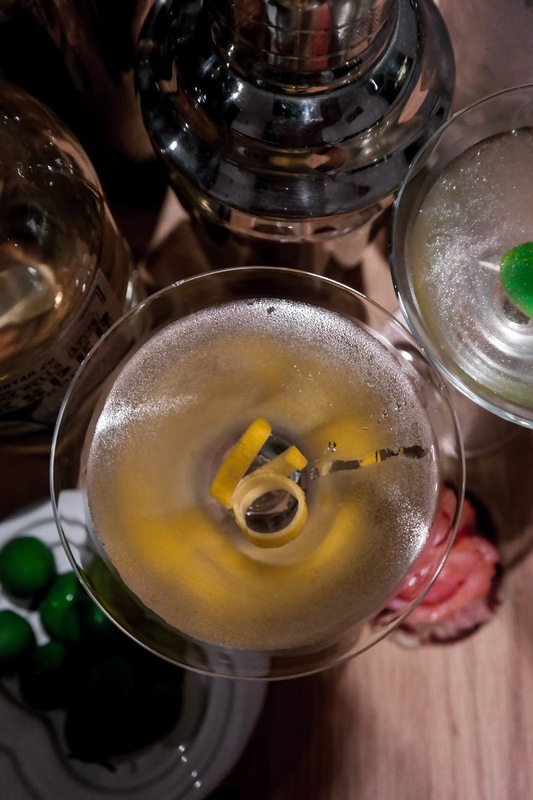 With great ease and simplicity, I could be back in Christopher's – or any other high end cocktail bar for that matter – sipping at what is, without a doubt, a fantastic martini. The ease and simplicity are factors I can't, in all honesty, ignore: all you have to do is fill a pitcher with ice, add an overly generous glug of liquor, stir (or shake, if you want to go really OO7), and pour. Add a twist if you're feeling up the task (oh the strain!) or an olive or two if you're feeling rambunctious. 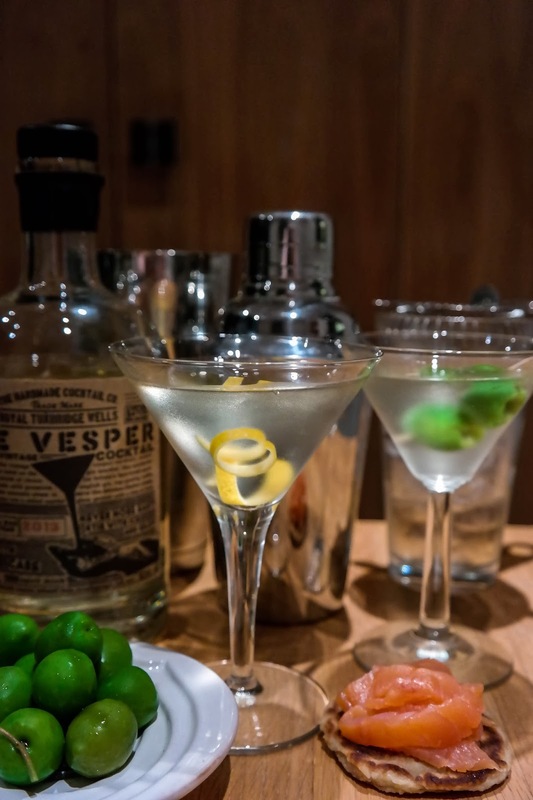 The Vesper is therefore unique in being neither a gin martini (or just 'a martini', as I’d have it if I had my way) nor a vodka martini – it's made from both. 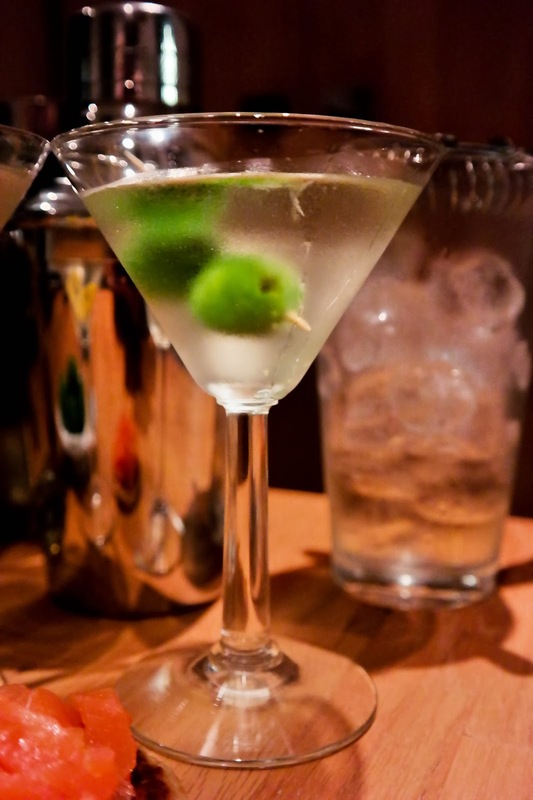 Here they offset each other nicely – the gin shines through, but is not overpowering; the vodka gives it that slight oily texture that (in this context) works. From its colour, I’d say that there's plenty of vermouth in there, but fear not: this is still a dry martini, without a doubt. I've no idea what the gin or vodka – or the vermouth, for that matter – are. And I'm not sure I care. Bond is quite specific, true, but mixing a modern day Vesper is impossible: Gordon's is much weaker than it was (although pick up a bottle in Duty Free next time you're wandering through the terminal – Gordon's Export Strength is reputedly what it used to be), whilst Kina Lillet has ceased to exist. 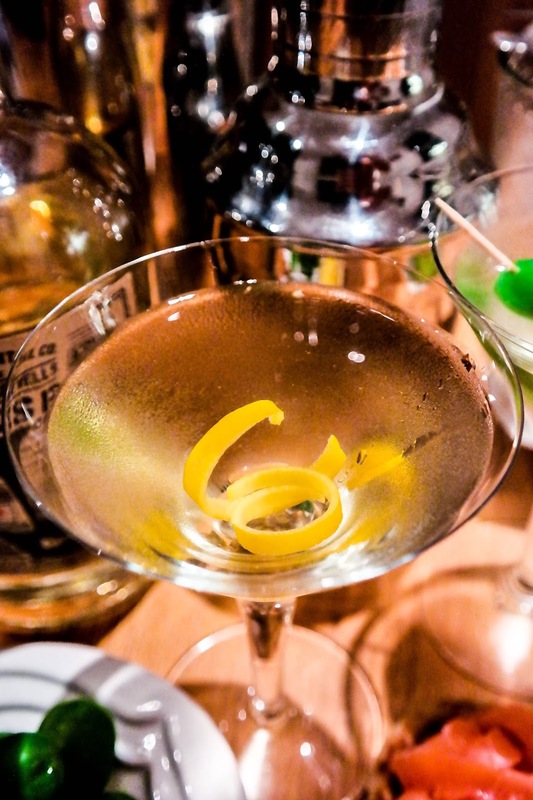 There's a lot of stuff out there on the internet saying use Lillet Blanc, Kina's supposed predecessor, but be warned: close research suggests that it's actually very different. The point of this? Well, I guess it doesn’t much matter anymore whether the authentic ingredients are used, all that matters is this: what the Handmade Cocktail Company have put together is magic. 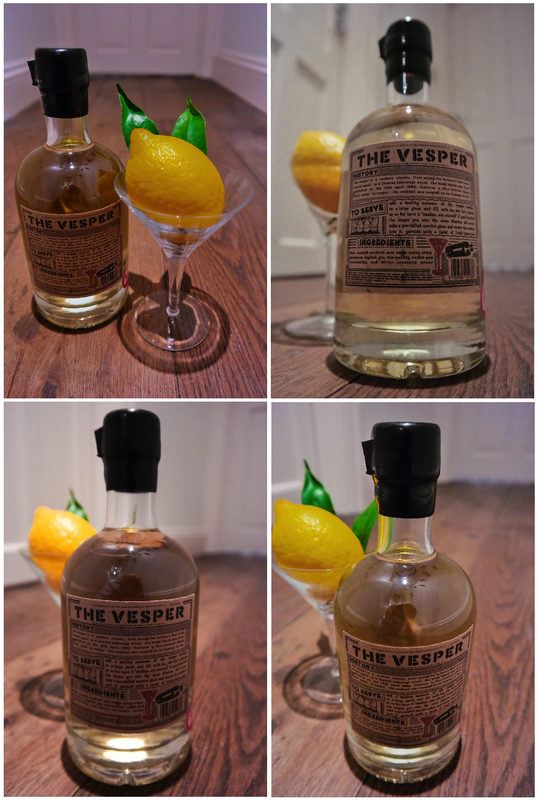 The Vesper – and all Handmade Cocktail Company products - is available through Master of Malt (who appear to be the guys who also run the Times Whiskey Club – there are just too many similarities). It seems pretty hard to get hold of elsewhere, so I'd start there if you're keen. I'm a total convert to the Handmade Cocktail Company and its range of drinks. 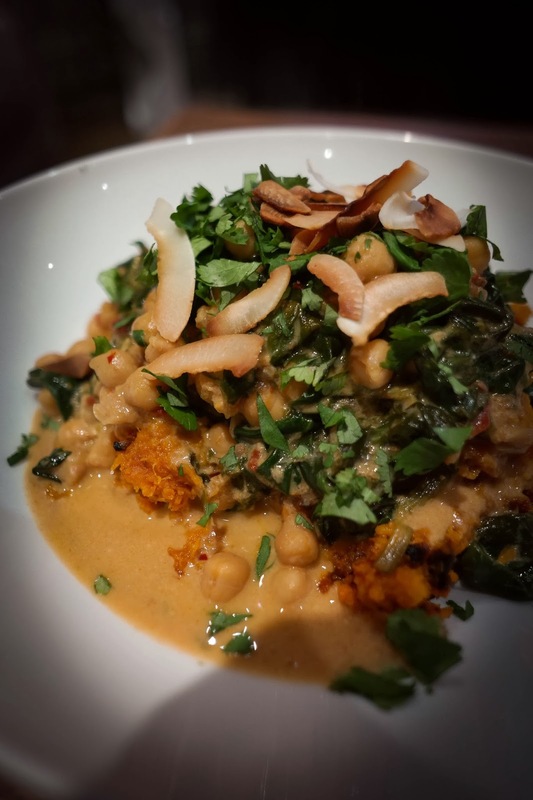 I am chomping at the bit to try their Old Fashioned – will keep you all in the loop when I do. 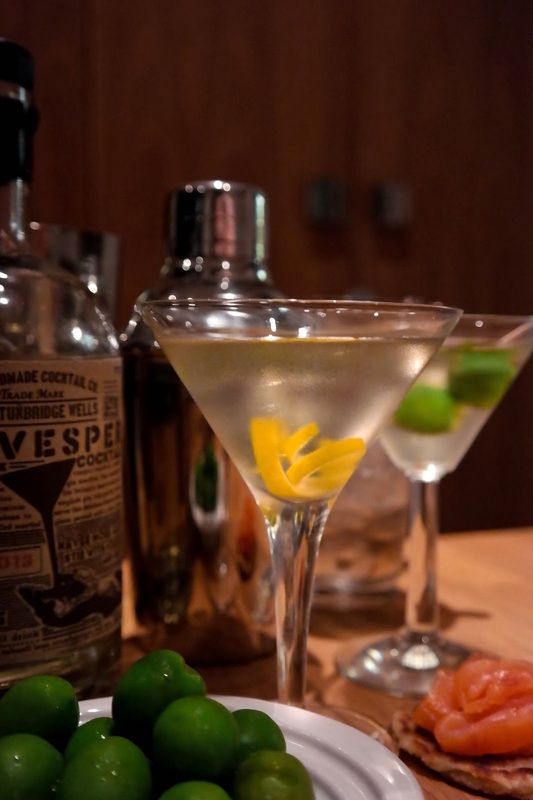 Until then, get yourself a bottle of Vesper. 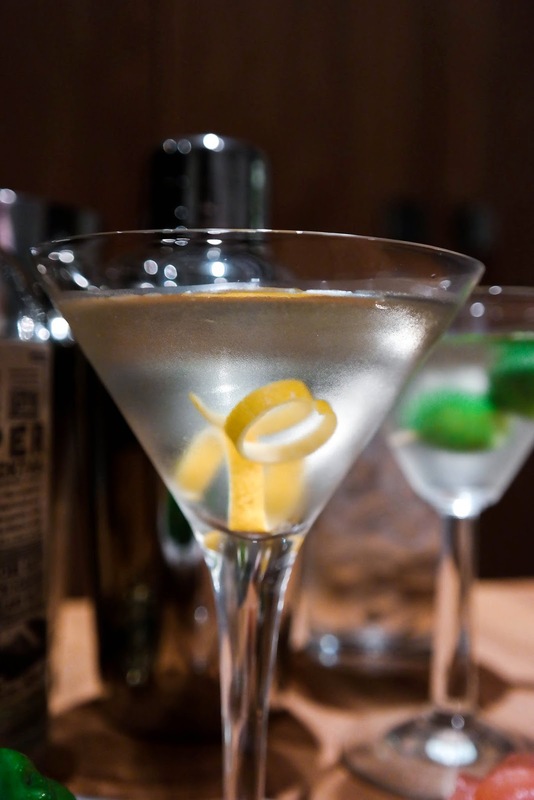 Stir over ice and serve straight up with a twist of lemon peel. Sit back and enjoy, Mr Bond. I feel like I'm going on about this a lot of late, but the weather at the moment is just gross. Time to think of happier, sunnier climes. To the shores of Corfu we go! GrubsterGirl and I went last year and had a very enjoyable week that largely involved lying around on the beach and eating. Yum yum yum. Greek food is fantastic in hot weather (which is hardly surprising, given the blistering climate) and only really works when the sun is shining, you're sat outside (preferably within stumbling distance of the sea) and you're completely at peace. It should be a long, slow meal of sharing plates and knick-knacks and fresh-as-a-daisy seafood and meats and cheese. All washed down with Mythos beer or fierce retsina. Which is why Taverna Kouloura is such a star: it hits bull's-eye on each of those points. Situated above a picturesque little stone harbour, with the cicadas chirping in the surrounding cypress trees and olive groves, the setting could hardly be nicer. ...or baby squid cooked simply with lemon and olive oil, it can hardly be beaten. They also do a mean line in fresh fish, which you can select from a counter indoors and which they'll then whip up for you – simply fried or baked or served with the infamous Corfoit red sauce, it's always a winner. And the puddings are spectacular too. Baklava to die for, all crisp on top and chewy inside, laced with honey and cinnamon and walnuts and pistachios. Greek coffee comes with its own little lump of Turkish Greek delight. Coffee is becoming increasingly popular. That sounds silly written down, and so it should: coffee is absurdly popular. There are few things in life that large swathes of the population will readily admit to requiring to kick-start (or even get through) the day. If you applied some of the oft repeated tropes about coffee to other drugs (and caffeine is just that, a drug) to things like alcohol or harder drugs, society would be quick to slap you with a 'problem' label. For example, "I just can’t get out of bed without a big, strong mug of Maker's Mark" or "Getting through today's going to be a struggle – we're out of smack". Yet we let it go on – and good thing too. Yet it is becoming more popular – genuinely. More and more coffee bars are springing up, independents this time, practicing an art with coffee akin to what craft pubs have been doing with beer these last few years. More and more outlets are flogging coffee beans sourced direct from obscure producers in exotic – and, frankly, often rather dangerous-sounding – locations. Yet actually buying freshly roasted, top quality beans on the high street is still something of a struggle – especially since the partial collapse of Whittards. Which is all a rather long winded way of going on to say that I just bloody love Monmouth Coffee. Based on the outskirts of Borough Market, Monmouth sources some of the very best coffee from around the world, roasts it and sells it to queues of caffeine junkie customers. The range is always spectacular. From the Mayan Highlands of Guatemala, to the Aberdare Range of Kenya; from Brazil to Colombia; from Jamaica to Jakarta – they're not always on, but you can guarantee they'll be around sometime. Don’t be put off by the queue – more often than not, the mulch of people desperate to go in are waiting for the bar – which produces some mighty fine drinks, to be honest. Scrum your way in to the bean counter and get chatting to one of the invariably helpful members of staff. Pick what you want and tell them what it's for – whether you grind your own (good boys & girls)or use a cafetiere, a drip filter or an espresso machine, there's a special grind for each. They even do some special, unrefined canse sugar that is just absolutely the business - you wouldn't think it makes a difference, but trust me: it does. But what's great is that you can taste every coffee – seriously, each and every one. How often do you get that? Just have a chat with your server, identify some prospects, and ask to try them. They'll then grind you a wee scoop, put it through an even wee-er filter, and serve it up. They even do this cool pouring thing between cups so that you can try it right away, without waiting for it to come down in temperature. There's no denying that it's pricey. Very pricey, for some of the beans, although there are always a few choices that come in much more pocket-friendly. But think of it as a treat – in Chez Grubster, for instance, it's a Christmas or birthday celebration. And you will notice the difference – of that I am completely certain. Oh, and don’t forget – once you've got your beans, ask for a takeaway coffee – a great way of skipping the long queue! 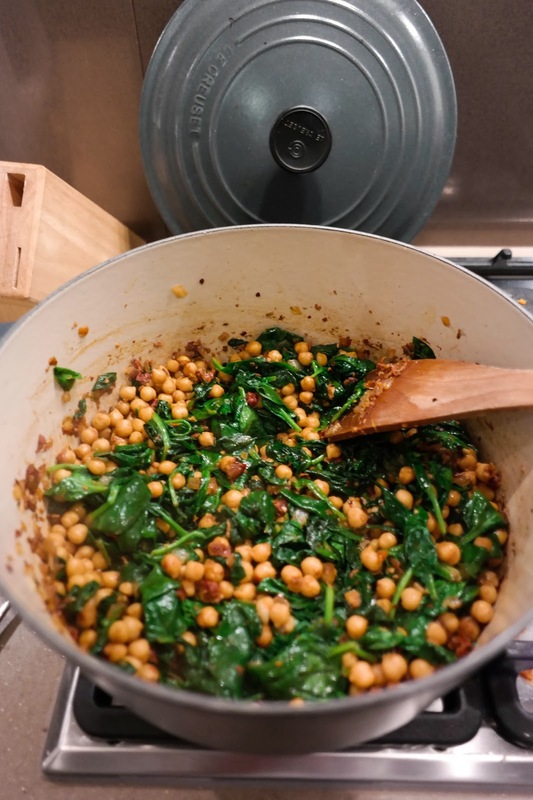 First things first, let’s be totally honest here: this is a recipe pinched straight off The Kitchn's Faith Durand, whose Braised Coconut Spinach and Chickpeaas with Lemon is heavenly. 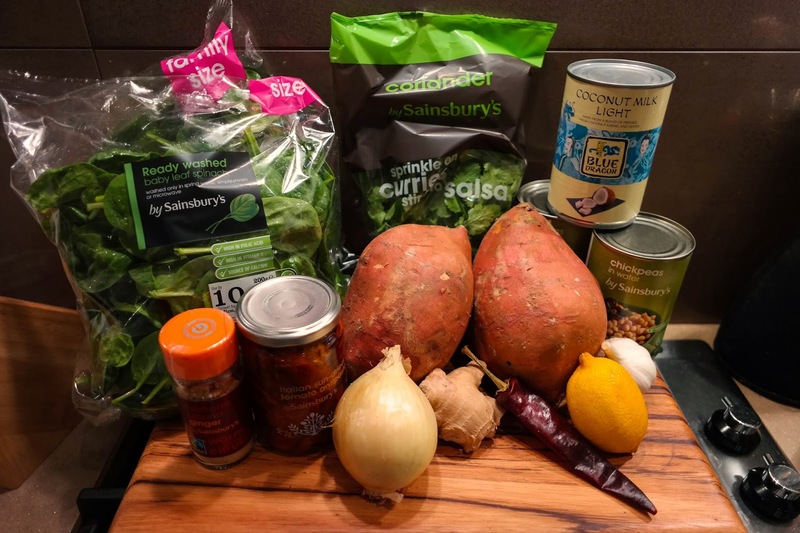 It also has the advantage of being (a) healthy (very much so, or at least very much so in the context of the other stuff I tend to cook); (b) easy peasy lemon squeeze; and © suitable to feed to a vegetarian if you're pushed to do so. All I've done with the recipe is play with the quantities a touch and converted them to UK weights and measures. Faith recommends eating it with a baked sweet potato, which sounds nice enough, except that I like roasted sweet potato mash very much. I also ate the leftovers with basmati rice, which worked pretty well too. Next time I make it, I'll try it with wild rice - I can't help but feel that a little extra bite to this would be a good shout. 1. Get the oven on to 170°C. 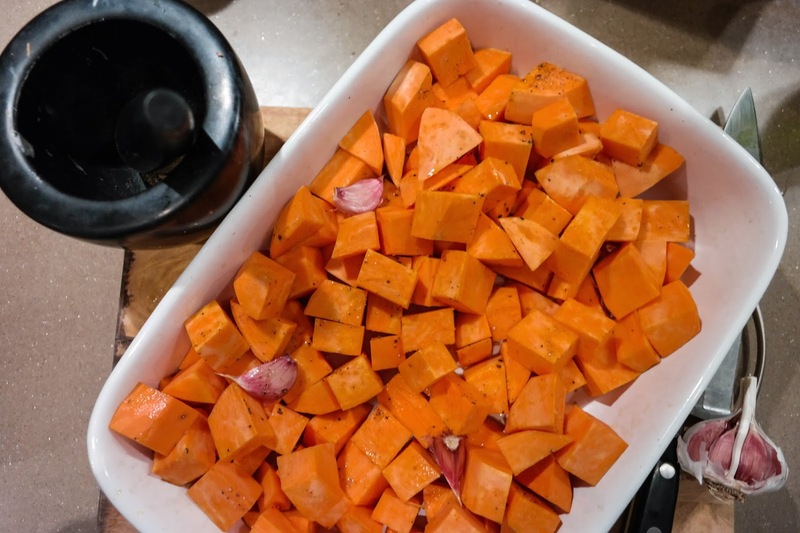 Peel and chop the sweet potatoes up into inch-sized chunks and chuck them in a large, ceramic roasting dish. Don't peel the garlic but crack each clove it under a heavy knife. Douse with olive oil and season liberally before sticking the whole dish in the oven, stirring every so often. They'll need the best part of an hour, until they're soft and sticky, with nice blackened edges. 2. Boil a kettle and pop the chilli in a mug full of boiled water. 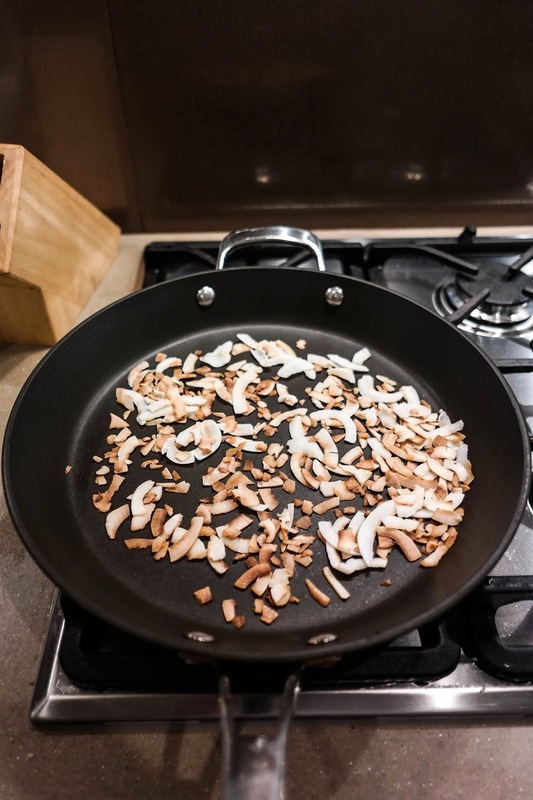 In a large cast-iron casserole dish get some oil heating on a low heat whilst you chop up the onion finely. Add it to the dish and allow it to soften. Whilst softening, zest the lemon, crush the garlic, grate the ginger, dice the sun-dried toms and extract and chop up your chilli pepper (if you don't like it hot, discard the seeds now). 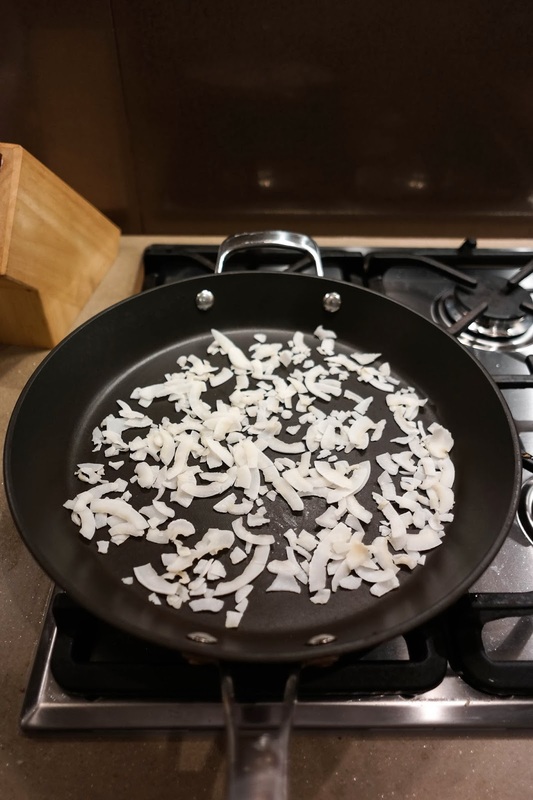 When the onions are soft, add the whole lot and cook the mix off a bit, increasing the heat to medium. 3. 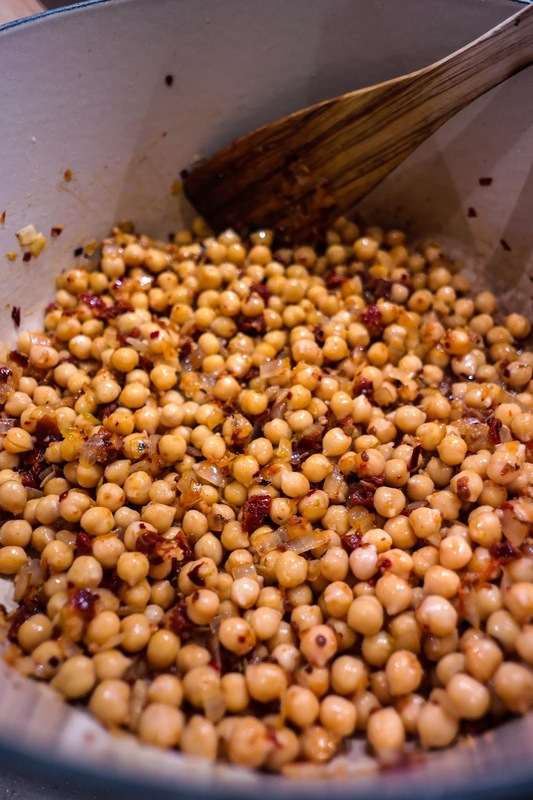 Drain the chickpeas then add them to the pan, and stir them into the whole mixture. Cook them until they start to turn golden as they toast. 4. 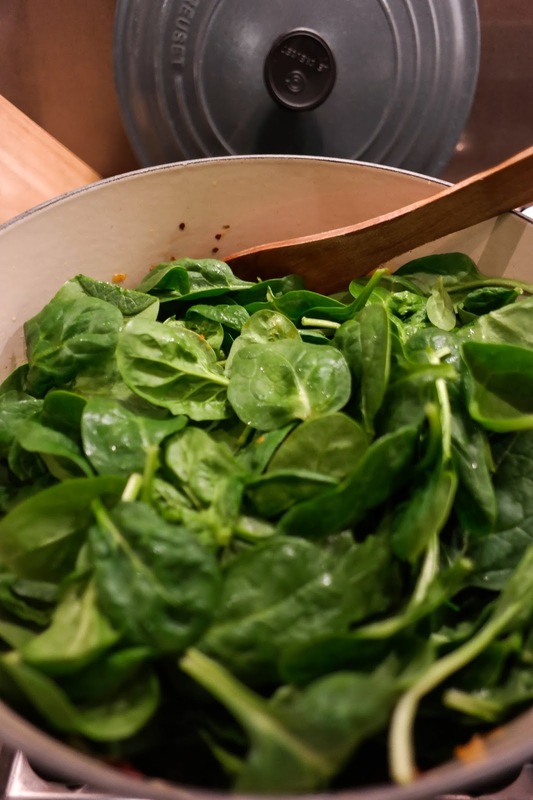 Throw in an entire bag of spinach. it'll look ridiculous, but this is spinach and in a few minutes it'll have wilted to next to nothing as you stir it in. Time to add bag number two, and repeat. 5. When it's all wilted down, add the ground ginger, coconut milk and the juice of the lemon. Season to taste. Bring it to a simmer and cook off for 10 minutes, so that it thickens a touch. 6. 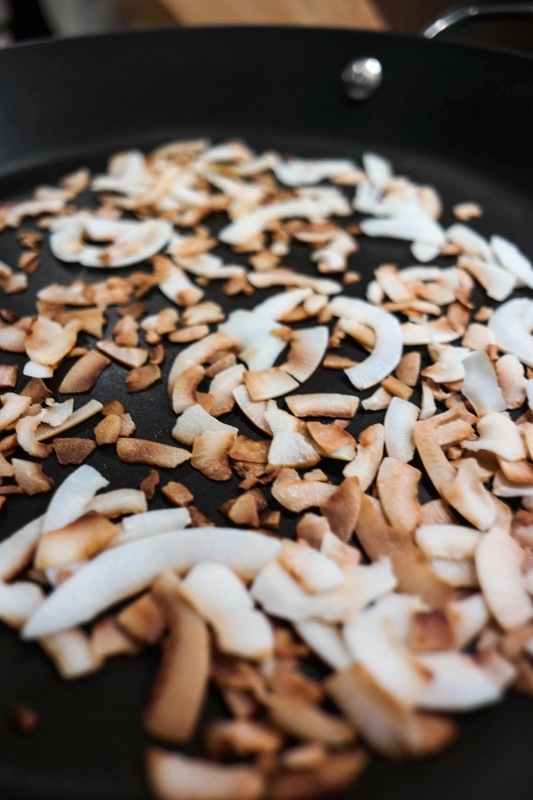 Whilst you're waiting, get a large frying pan on the heat and dry toast some coconut shavings. Chop the coriander. 7. 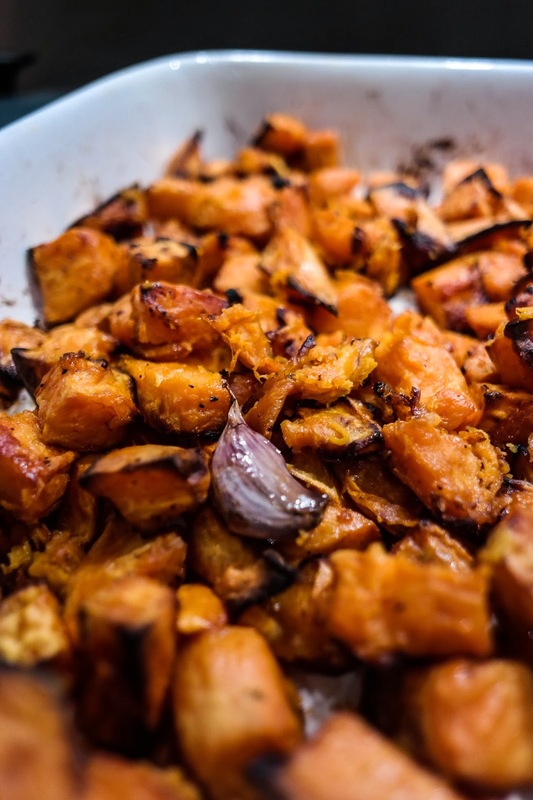 If you've timed this well, your sweet potatoes will be roasted nicely now. Get them out of the oven, peel the garlic cloves and add them back in. Spot the dish with butter, then mash it to a rough pulp. 8. 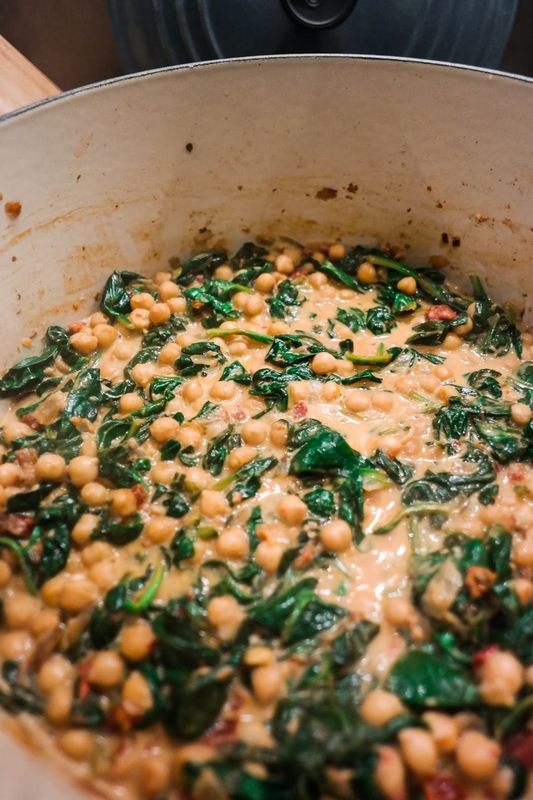 When you're ready to go, spoon the potato into a bowl before ladling over the chickpea and spinach mix. Make sure you got plenty of sauce going on too. If you're gonna serve bread and oil, like every other gastropub under the sun, at least make it look pretty. Hats off to The Wellington in Welwyn for doing so. In a flipping flower pot. The other night GrubsterGirl and I enjoyed a charming evening of sherry sipping and food tasting. 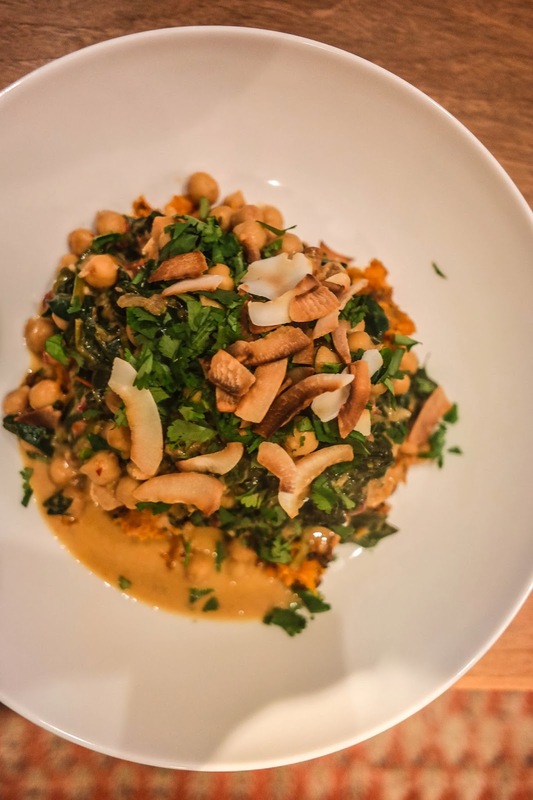 The Ametsa, the restaurant at The Halkin by COMO hotel in Belgravia, has set up and ran a charming little event – the first of what they plan on being a series of Master classes. For a relatively small crowd they gave a lecture on the history, production and styles of five different sherries, and paired them with some delicious Basque food. The word 'sherry' is, in fact, little more than an Anglicisation of the town from whence most sherry originates: Jerez. Indeed, sherry now has a protected designation of origin status, meaning that (like champagne or stilton or tequila) it has to come from the certain region after which it is named in order to be legally classified as sherry – of Jerez wine, as I suppose we are calling it. The evening kicked off with a very interesting and detailed talk from Álvaro Prieto, Ametsa's sommelier, about the sherry making process and the history behind it. Then we got down to the good stuff. The five drops we got to taste were all dry sherries. Sadly, my sweet tooth was deprived of what it craved, but no matter, because they were all very good. We started proceedings with the only vintage – a 2009 Navazos-Niepoort. Those of you who know your ports will have heard the name 'Niepoort' before, without a doubt – they are perhaps most famous for their ports and Duoro wines, but their recent partnership with Navazos to create sherry is a potential goer – keep your eye on this number. It was light, chalky, slightly sharp sherry that went beautifully with its chose pairing, which was pescado con patatas – or fish and chips to you and I. Now, I don’t know about you, but I've been down to the British seaside and I've eaten fish and chips, in the rain, out of soggy newspaper, doused in vinegar. I know fish and chips. Whatever these are, they're not fish and chips. I'm sorry, they're just not. Whatever they are, though, they're lovely. The crinkly crepe paper you see is actually coloured potato paper, a little like crumply rice paper except salty and spuddy. The fish was carved into big, moist hunks and beautifully battered in a light, crisp batter. So I can’t complain too much (or at all) that they’re not like Maggies' (the best fish and chips in Britain, fact) – they were great fun. Sherry number 2 was a La Cigarrera, a Manzanilla, which is a light, fortified Fino sherry. Again, it was light and fresh, but not as interesting as the first or as exciting as the later sherries. Its match was kataifi-wrapped scorpion fish cakes. A bit of a mouthful to say, but not to eat – they were lovely. Third glass was the Fino Una Palma, which was a beautiful Fino sherry, aged for about six years and withy a fresh, salty, oaky palate. Apparently it's available at Waitrose under another (very similar) label (wink-wink-nudge-nudge), so if you see it I'd recommend grabbing a bottle. It's actually produced by the sherry giant Tio Pepe, but don’t let that put you off – it's a delight. Keeping it company were some deliciously light croquetas de jamón. So often when you eat Spanish croquettes in the UK they're thick and stodgy – these were quite the opposite, focusing more on the ham than a potato-based padding that other (cheaper) restaurants indulge in. Next up, we're starting to move into the territory of my kind of wines – richer, louder, punchier. This came initially in the form of an Amontillado, Tío Diego. This was a real puzzler of a wine, in a sense. The nose was all toasted almonds, caramel, sweet flavours; the palate was heavily dry, almost steely, with a slightly more drawn out citrus and buttery aftertaste. Its pairing was pintxo de pancetta de cerdo con piña. Or ham and pineapple skewers to you and me. Now, I love the attempt to bring in a bit of '80s glam, with the classic cocktail party canapés reimagined. But, sadly, these just didn’t work. There was nothing wrong with the execution – nothing at all, in fact the pork belly was cooked to melt-in-the-mouth perfection - but the dish just didn't work, sadly. The final wine – and by far and away my favourite – was an Oloroso Antique. This was fantastic. Warm, rich notes on the note, followed by a sweeter (but still relatively dry) palate with a long, long aftertaste that grew in intensity and flavour over time. It was the aftertaste that was most exciting – the initial flavours being a rich, dry sherry and little more, it then grew and grew into something richer, buttery-er, almost malty and with hints of popcorn. No, really. I'm not just trying to be pretentious. This was stunning. To go with it we had a classic Jerez staple, ox cheeks. But, unlike your normal Basque fare (and, as I had by now realised, I rather imagine quite like your normal Ametsa fare) this was no ordinary ox cheek stew. Au contraire, the dark, rich, slow-cooked cheek ragout was stuffed into little filo triangles and served with a sweet mango coulis. Very nice indeed. All in, it was a fun, educational evening with some good food and great wine. At £30 a head, I have to say it was also pretty damn good value.